You love sharing the holidays with "mans best friend", so why not give them a prominent spot on your Christmas stocking. These little Dachshunds are friendly, lively, courageous, clever and spunky; and will love helping you discover the bounty that lies inside your stocking. 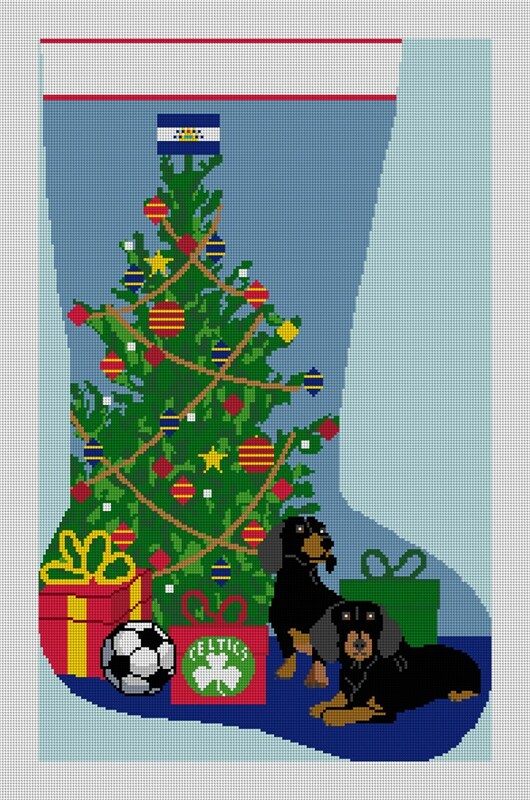 Stitch this needlepoint stocking canvas and create a family heirloom, that will be enjoyed for years to come. The flag and team logo can be customized or removed to your preference.